It is not easy to raise funds for backing a brilliant business idea. Most young entrepreneurs struggle to raise funds while starting a new business, which is one reason why startups fail. Business model, products, break-even strategy, market projections and many other details help raise funds. However, looking in the wrong direction for funds can result in wasted time and resources. Changes in the economy have made it harder to get funds from traditional lending sources. As the competition is increases, the chances of securing funds from investors is decreasing. Under such circumstances, startups cannot rely on a single source to raise funds. They have to use different methods for raising funds, depending on the stages of start-up growth. This post lists some practical ideas to help entrepreneurs raise funds. Typically, if it can even be referred to as that, start ups that are experiencing success will secure fund in a manner of steps. First, startup entrepreneurs will receive around $20,000 from friends and family. Then later, they will receive around $100,000-$200,000 from an angel investor some months later, but no longer than a year. Eventually, by the end of that first year they will receive a couple million, or more, from a venture capital firm. However, in recent years venture capital has become hard to come by. Also, some small business owners may not seek venture capital because they are afraid it will detract from their ability to make decisions regarding performance management and other executive decisions. 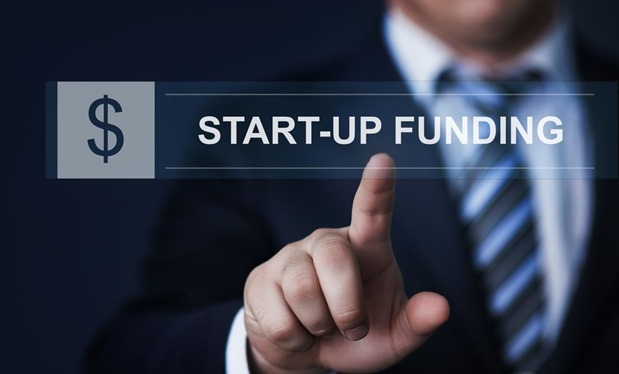 You may be looking for other ways to secure start up funding for your business venture. In the beginning of a startup, owners and co-founders often use personal savings to cover start up costs. Since investors usually do not offer funding until a startup starts monetizing, most entrepreneurs will use personal savings. To raise funds, you should use bank account savings, home equity or even retirement accounts. Although it may seem to be a considerable risk, self-funding can ultimately pay great dividends. Not only you will have less debts in the market, but the investors will also appreciate your contribution. Self-funding shows that you are confident about your start up, demonstrating your seriousness. However, when you tap into personal savings, be sure to keep track of expenses. Certainly, personal savings can get your start-up off the ground. If you do not have enough personal savings to start a business, you can always get a bank loan. This will give you access to the startup capital you need to get your business off the ground. However, you will need to have a good credit history. Or, you can sometimes get business loans using existing assets as collateral. The Small Business Administration is one place to get business startup loans with low interest rates that does not determine eligibility using the traditional methods of credit scores and collateral. If you have a great business idea that requires startup funding, considering taking out a business loan from the SBA or elsewhere. For promising start-ups, Angel investors generally offer first seed stage funding up to $1 million. The funds are used for tasks like scaling, hiring staffs, buying inventory and marketing products. However, these tasks require a steady flow of funds. Naturally, owners of growing startups have to continuously raise funds. Most angel investors, who are usually successful entrepreneurs, understand this need. However, they do not offer funding unless the start up concept has been proven. When making an investment, angel investors hold a percentage of the startup’s shares. Depending on the percentage of ownership, they can direct the course of your business. Although this control does not sound ideal, angel investors can offer valuable advice and share their connections with start-up owners. Additionally, a good rapport with angel investors will help the startup move forward. Surely, angel investors can be a great source to raise funds for start up, especially if you do not have an accounting degree need a little extra financial guidance. Raising funds, without giving up the shares of your startup, is known as non-dilutive funding. Government grants, solicitations and RFPs are some sources of non-dilutive funds. However, only certain types of startups are eligible for them. Specifically, biotech startups are perfered choice for non-dilutive funding. To see if your business is eligible, entrepreneurs should find grants and non-dilutive loans that are available in their area. In fact, high growth start-ups can qualify for large start up loans at modest interest rates. Moreover, non-dilutive funding enables start ups keep their shares. Of course, the shares can be sold at higher prices later on. The ease and flexibility of crowdfunding has made it popular among entrepreneurs. It helps raise funds for large scale manufacturing, launching new products or anything in between. This option is an excellent alternative to quick business loans. There are various crowdfunding models available online. Start-up owners have to select one that suits their business structure and meets their requirements. Depending on your preference, you can opt for equity based or reward based crowdfunding. To raise funds with crowdsourcing, startups have to directly solicit funding from the crowd or prospective buyers. Kickstarter and Indiegogo are two well-known crowdfunding platforms chock full of people looking for new business opportunities. Crowdfunding is a less risky way of raising funds. Additionally, it introduces startups with target audiences and helps evaluate market demand. As you might already know, high growth startups are usually capital intensive. They look to venture capitalists to help them raise funds. After locating a venture capitalist, entrepreneurs pitch their ideas, products or business to raise funds. In exchange for funding, venture capitalists get equity in the business. In some cases, they also demand debt financing along with a percentage of share. However, venture capital can be one of the best ways to raise funds for scaling start ups. To be sure of the right venture capital firm, find out if they already have experience in your industry. Many times, venture capitalists who have experience can be very valuable for raising funds and building a successful business. Startups raise funds throughout the different stages of growth. In the beginning, you might be dependent on personal savings and non-dilutive funding. As the company starts to grow, it might need an angel investor, Ace cash advance, crowdfunding campaign or venture capitalist. As we have seen, there are several tried and tested methods to raise funds. However, your business may not be eligible for all of them. It is advisable to leverage different fundraising methods as your business grows gradually.